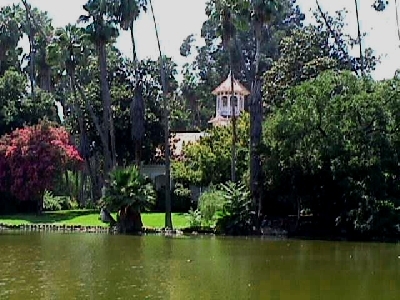 Three thousand years ago, the homesite of the earliest inhabitants of today’s Los Angeles County Arboretum & Botanic Garden was known as Aleupkigna, “the place of many waters.” With the arrival of the Spanish in California some two hundred years ago, the residents of Aleupkigna became known as the Gabrielino (in reference to the mission responsible for their conversion), and the land upon which they had lived before removal to the Mission became Rancho Santa Anita, an agricultural outpost of Mission San Gabriel. 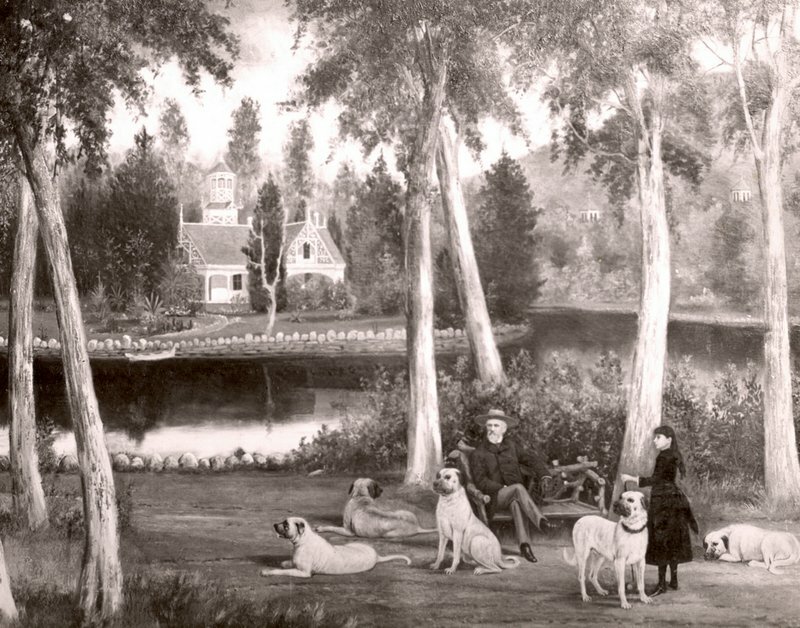 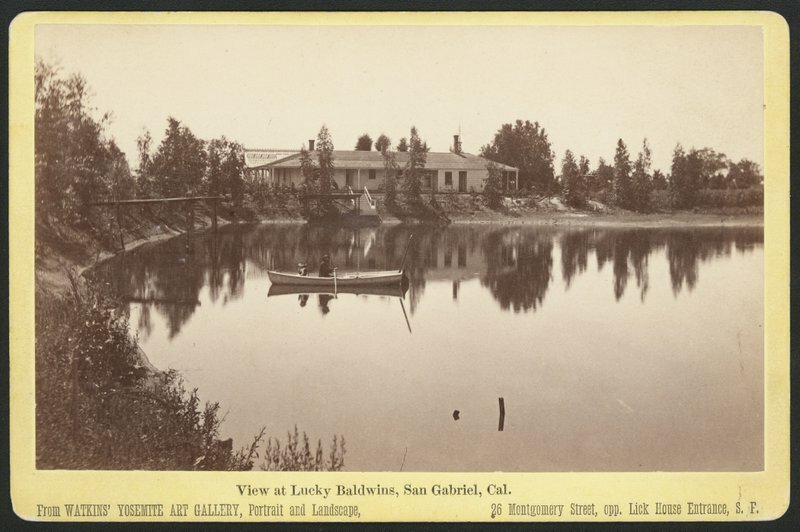 Hugo Reid, a Scotsman with Mexican citizenship, married to a Gabrielino woman, became the first private owner of Rancho Santa Anita and in 1840 constructed his adobe house next to the lake. 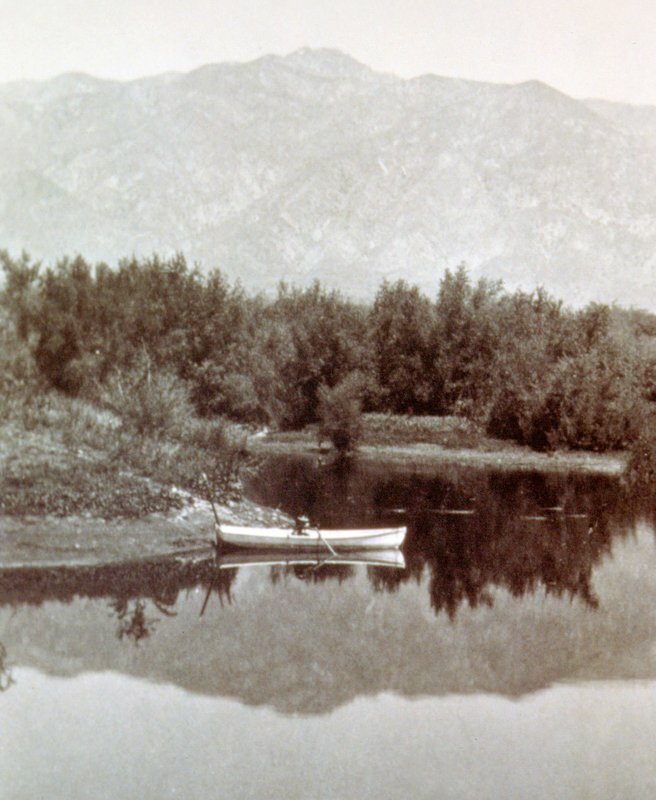 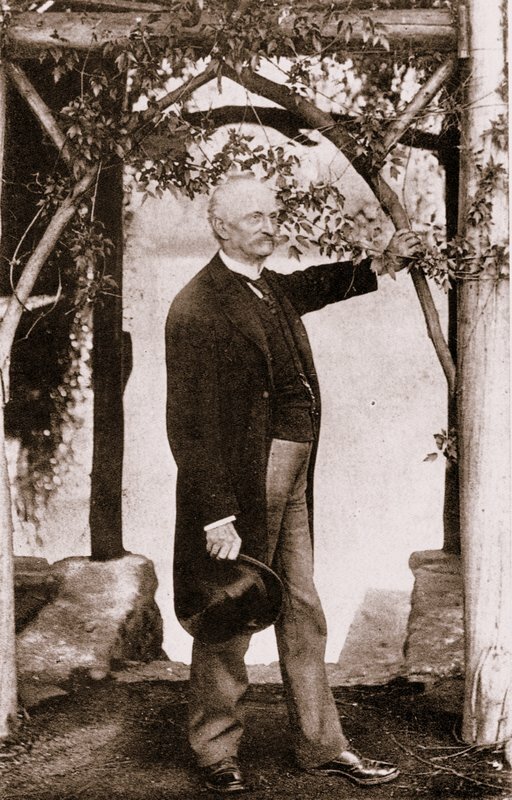 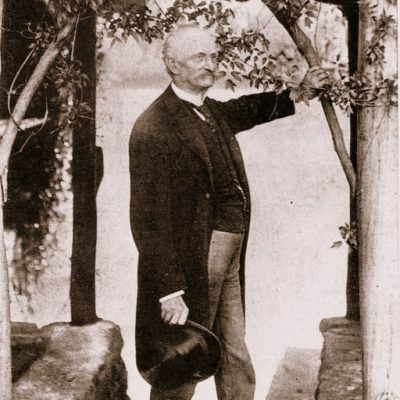 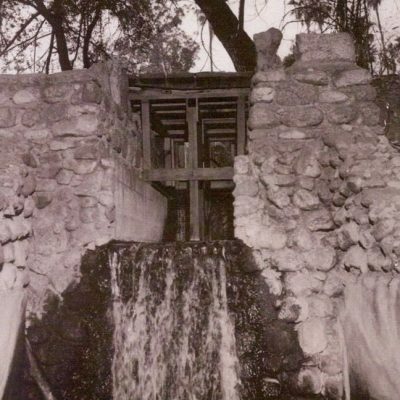 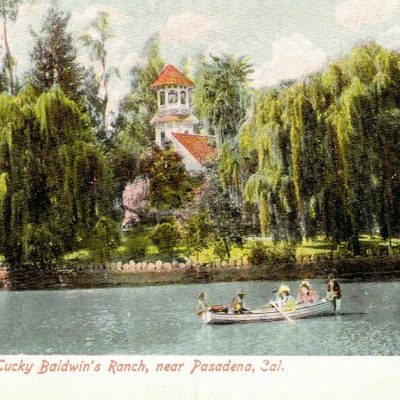 When Elias Jackson “Lucky” Baldwin purchased Rancho Santa Anita in 1875, he acquired not only the natural lakes and cienegas on the property, but water rights in both Big and Little Santa Anita Canyons just north of his homesite. 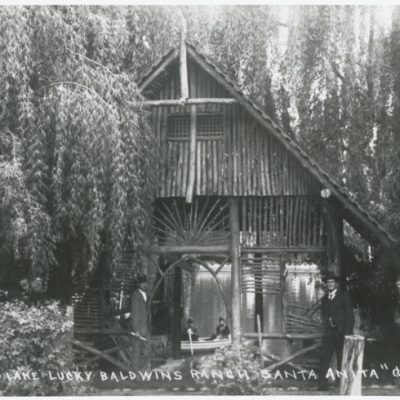 The Baldwin Ranch was situated on a 2,000 acre artesian belt, a benefit of its location atop the Raymond Hill Fault. 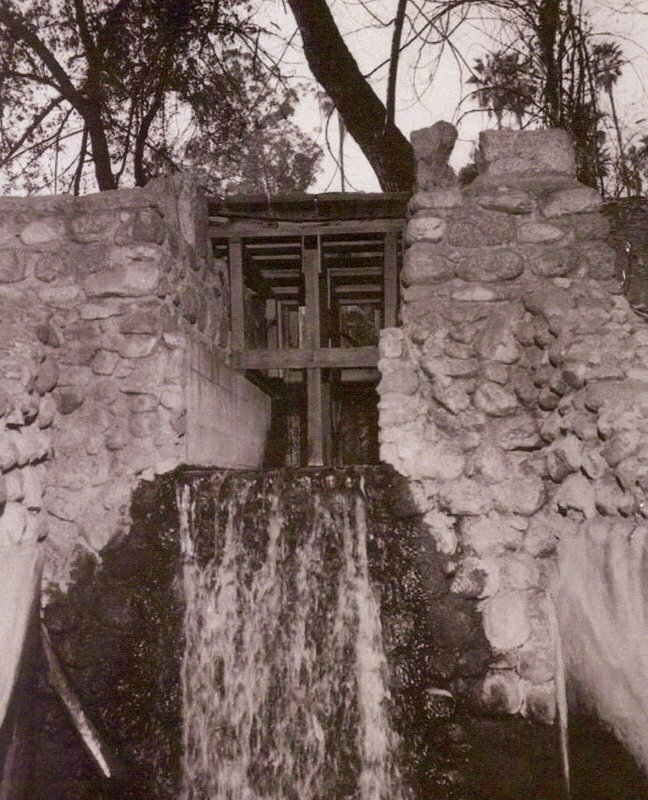 Sixty percent of Baldwin Ranch irrigation waters came from artesian sources, the remaining 40 percent from canyon waters. 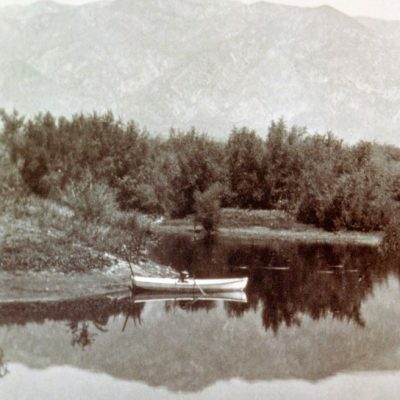 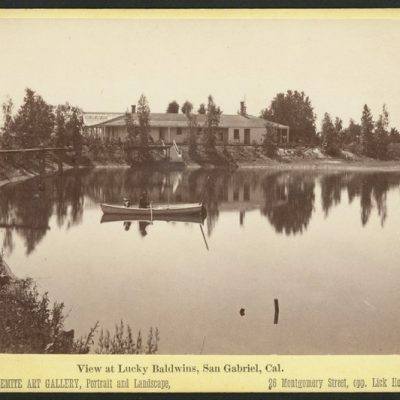 Baldwin Lake, which served as a holding reservoir for ranch irrigation projects, was dredged and deepened, perhaps 12-15 feet, by owner Baldwin in the late 1880s, and a retaining wall, capped by granite boulders, was constructed around the lake edge. 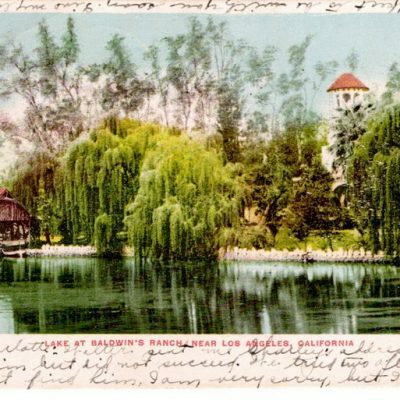 “Baldwin’s Belvedere,” today known as the Queen Anne Cottage, was built in 1885 on a peninsula jutting out into the horseshoe-shaped lake; the springs that feed the lake are located in both the north and south inlets. 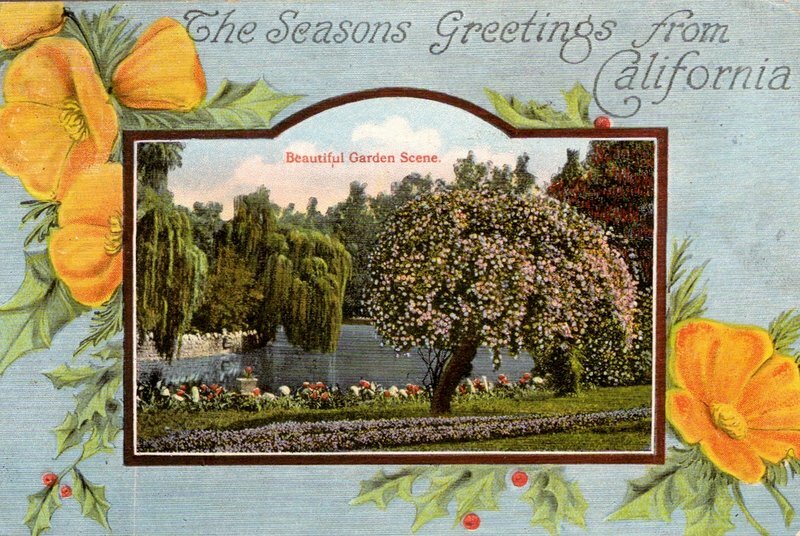 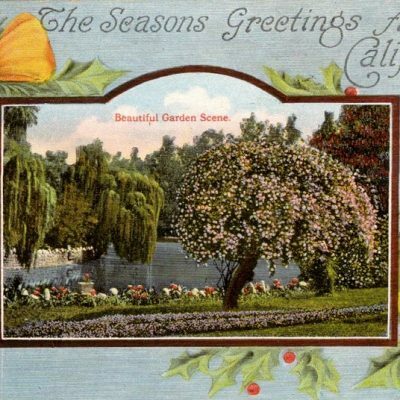 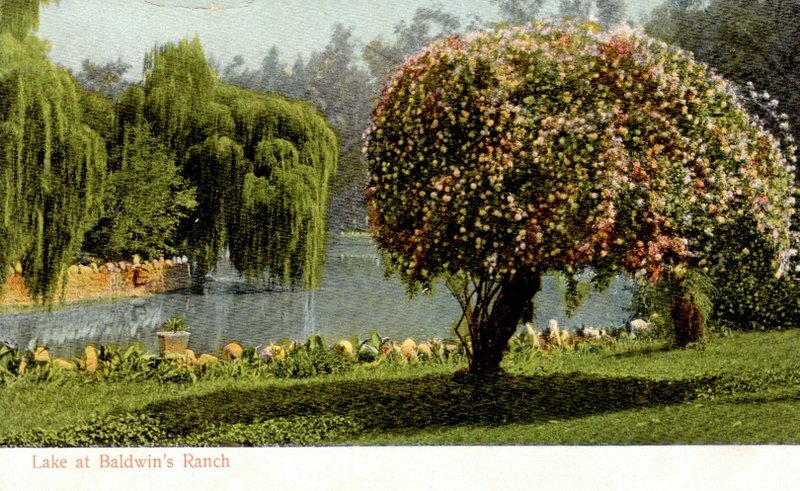 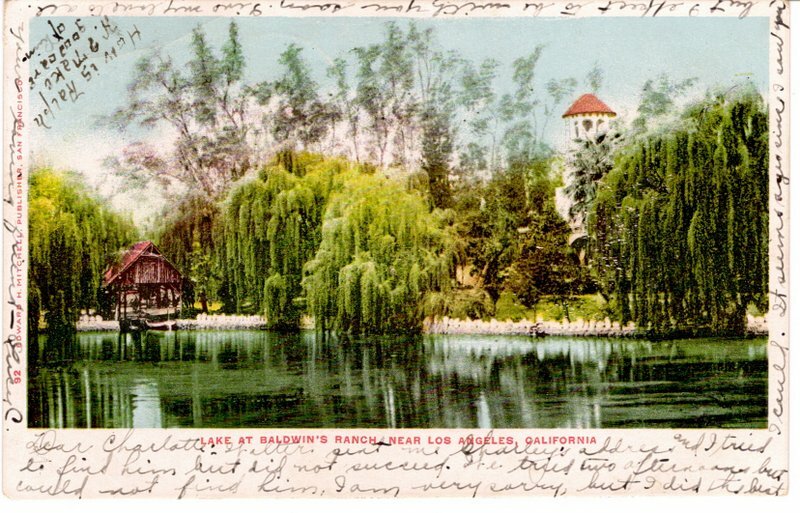 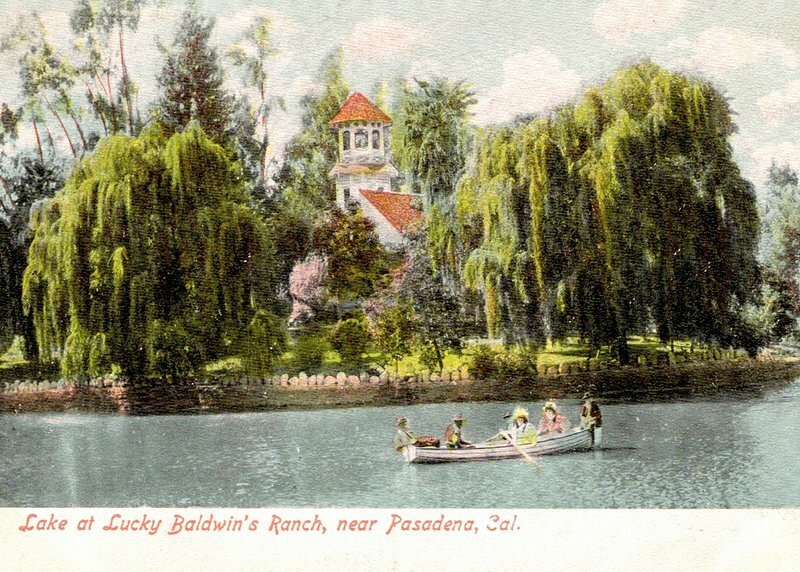 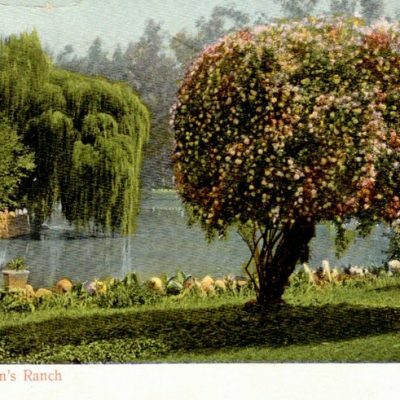 Lucky Baldwin supplied residents of the city of Arcadia with a combination of canyon and artesian water of such quality that a Los Angeles Herald reporter commented, “Why, if this God-given fluid were piped to Los Angeles and distributed to the city, the saloons would lose half their customers, and water drinking would become fashionable.” In early Arboretum days the lake was designated LASCA (Los Angeles State and County Arboretum) Lagoon, perhaps a reference to its film location possibilities, perhaps a corruption of the Spanish word for lake. 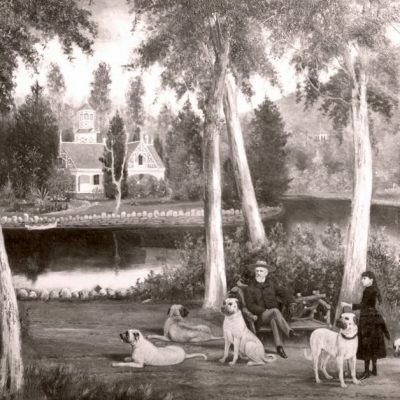 H. H. Cross painting of Cottage and Lake, 1889. 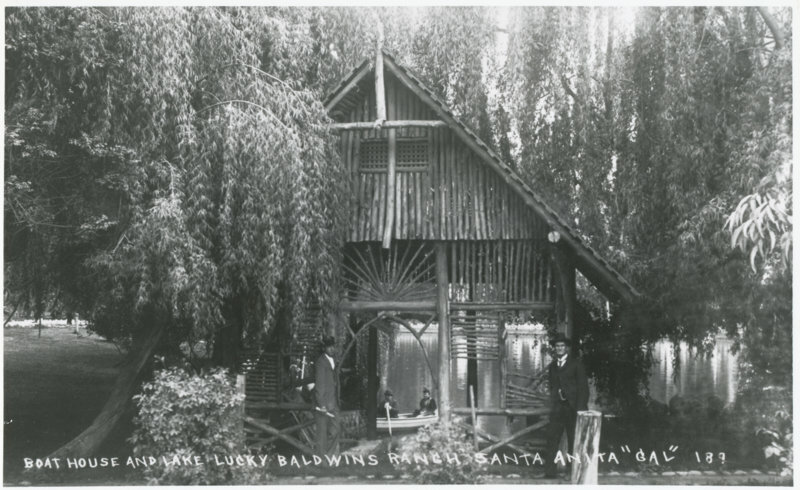 Lucky Baldwin and daughter Anita in foreground.